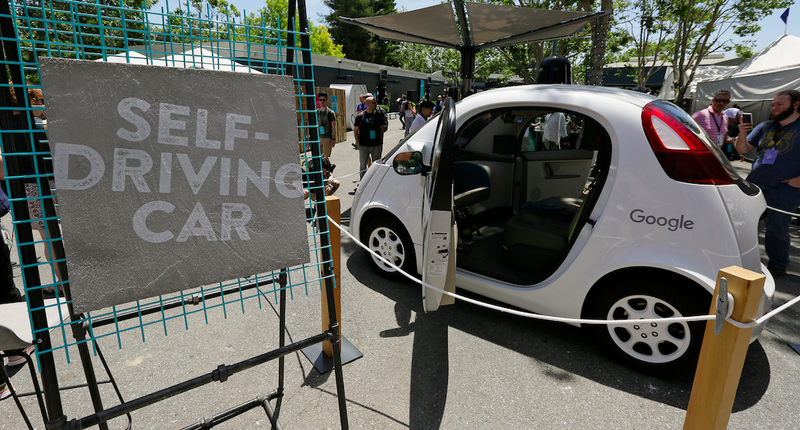 Google just released a monthly update on its self-driving car program discussing how its cars will communicate with human drivers in other cars to make sure they don’t kill themselves. The strategy: teach the autonomous cars how to honk at us flesh-bound mortals. Google says 94 percent of minor crashes are caused by human error, so to combat this, the Menlo-Park, California-based company’s autonomous cars are going to need to whip us fallible beings into shape by disciplining us when we misbehave. But Google’s cars won’t be using paddles, your dad’s leather belt, or – my personal favorite! – battery-filled tube-socks. They’ll be whipping you into shape with their horns. Just like you do with a real horn. Imagine that. During testing, we taught our vehicles to distinguish between potentially tricky situations and false positives, i.e. the difference between a car facing the wrong way during a three-point turn, and one that’s about to drive down the wrong side of the road. At first, we only played the horn inside the vehicle so we wouldn’t confuse others on the road with a wayward beep. Each time our cars sound the horn, our test drivers take note whether the beep was appropriate, and this feedback helps our engineering team refine our software further. We’ve even taught our vehicles to use different types of honks depending on the situation. If another vehicle is slowly reversing towards us, we might sound two short, quieter pips as a friendly heads up to let the driver know we’re behind. However, if there’s a situation that requires more urgency, we’ll use one loud sustained honk. That sounds good to me. It’s a lot better than today’s usual routine: a loud horn quickly followed by a middle finger and some choice words. And definitely not battery-filled tube socks.